Some how it went unnoticed that I didn’t have enough credits to graduate from high school (in 1985) . . . a fact that was missed by my undergraduate college and the four subsequent graduate institutions which granted me my teaching certificate, a couple of masters degrees and admitted me to a doctorate program. Oddly enough, it is decided by the school police that I must return to the high school of my youth to finish the credits. They modify my teaching schedule so that I can finish up. Back-to-School Anxiety dreams are so common among teachers that there is no reason for this to be mentioned in a blog post. What makes this noteworthy for me is that I will be returning to the classroom after a five-year hiatus. Monday is my first day. I left the classroom five years ago to serve as an administrator in my district. I was fortunate enough to fill the role as the coordinator for professional learning and evaluation for two school districts. Last year, there was a particularly bloody budget season. Several teaching positions had to be eliminated and two administrative positions. Teacher retirements and transfers saved any teachers from losing their jobs, but there was no such luck for me and one of my colleagues. I found myself unemployed for the first time in my life. Initially, I was optimistic. I received a generous severance package and have great credentials and references. 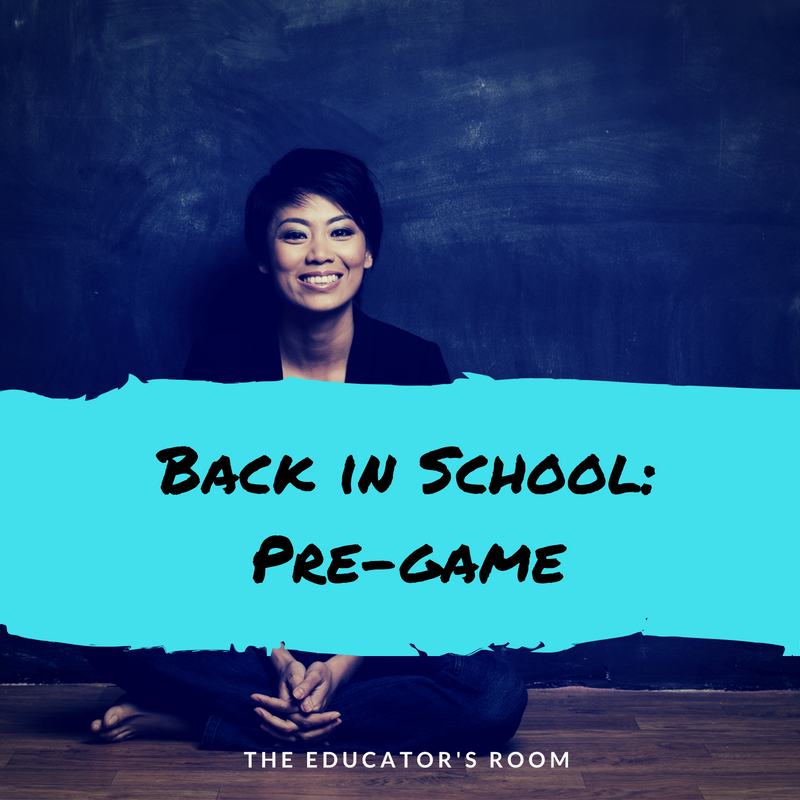 As weeks turned into months, August came and all of my colleagues were off to begin a new school year, and I had nowhere to go. I gave myself until September 15th to find an administrative position. Then I gave myself until October 15th. It became evident that the budgets in many towns were tight and there were not many positions posted. When October 15 came and went, I began looking for teaching jobs. I am certified in French and Spanish, both are shortage areas and was confident that I would be able to find a position quickly. I start on Monday; teaching Spanish 1 and 2 in an urban high school. I am filled with conflicting thoughts and concerns. It’s going to be great to be in the classroom again. I can’t wait to work and connect with the kids. Ugh, correcting papers and calling parents. Most of all: I have spent the past five years telling teachers how to teach better . . . how to improve their craft. My areas of focus have always been differentiating, having high expectations for ALL students and that bad behavior is a teaching opportunity- not a punishment opportunity. OMG! I am going to be evaluated by the same system I helped the State Department of Education create!! Talk about payback! Now, it’s time for me to put up or shut up . . .Constantly playing in my head are movies of every time I asked a teacher to differentiate more; told them that class time was sacred and to not waste any on fluff; emphasized (not gently, I fear) that ALL students can excel and teachers need to take responsibility for those who struggle. I’m writing lesson plans, dreading Sunday night, wondering what the line at the copier is like in the morning, where is the nearest bathroom to my class? And what’s up with this water bottle flipping thing?